The first time I hung out at the Palmer House, it was prom night. A couple of friends were in from out of town for a conference and were staying there, so it felt OK to take up a few chairs in the lobby. And then the fashion show began. I'm not sure which school the students went to, but they were firmly committed to the idea of going all out. One young man wore a pair of satin overalls with a tuxedo shirt and bow tie underneath; he did it with such panache he almost pulled it off. A few months later, I wanted a beautiful, comfortable place to sit and read that wasn't my apartment. I remembered the Palmer House and went back. This time it was the White Sox convention. The clothes were not as interesting—there's only so much you can do with black and white—but seeing so many Sox fans in one place is always a fascinating experience. No one seemed to notice or care that I wasn't a paying guest. I started going to the Palmer House whenever I wanted to be somewhere that wasn't the office or home. The furniture was more comfortable. It was clean. There was enough white noise that the sound of someone sniffling or eating Doritos didn't drive me to distraction the way it did in the enforced quiet of the library. I didn't feel like I required company, as I would in a bar. I didn't have to buy anything. And the people watching was always spectacular. No other lobby in town compared. And I know, because I looked. They either had uncomfortable chairs or were so cramped I felt conspicuous loitering. 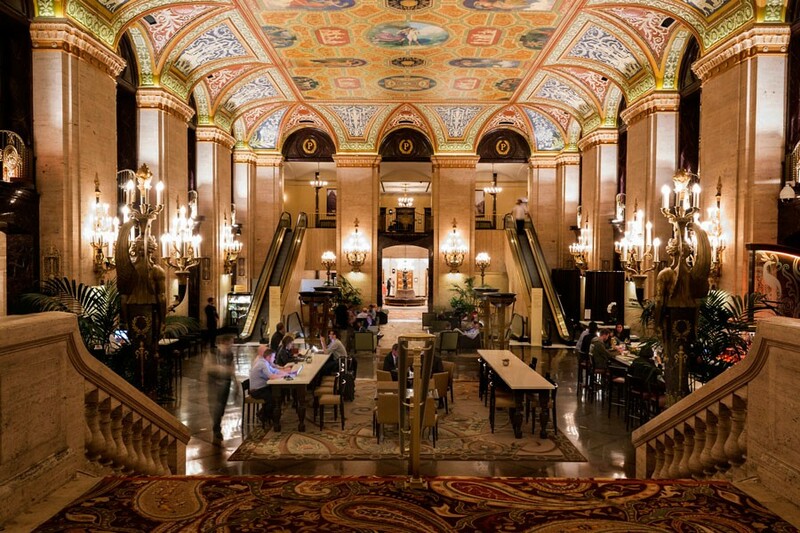 Then, about a year ago, a small revolution: the management of the city's hotels decided that Chicagoans, and not just out-of-towners, should be hanging out in their lobbies. The Chicago Athletic Association and Soho House installed long tables with lamps and electrical outlets so you can plug in your laptop and work, and they arranged the furniture like a living room, not an airport. These lobbies weren't just a place to kill time between checkout and leaving town. They were a place to be. 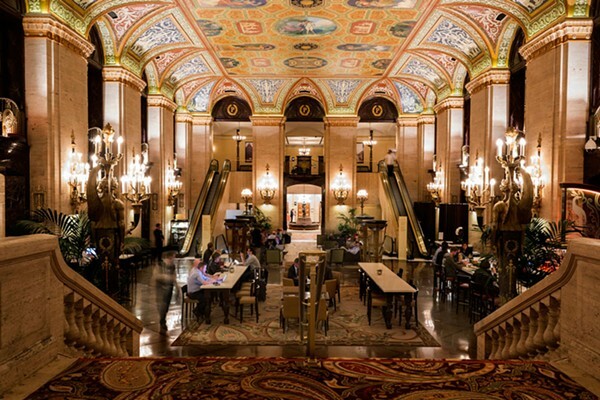 Can the Merchandise Mart become a dining destination? DMK Restaurants tries to make the case with Marshall’s Landing.